After losing his 20-year-old son, William, to an overdose, Scott Doerhoff is speaking up to show the opioid epidemic can affect any family, and any kid, in America. Will Doerhoff with his beloved 16th birthday present, a Mustang. Scott Doerhoff stood at the front of the room, bracing himself to tell total strangers the details of his family’s worst nightmare. Was he ready for this? What was he doing here? Outside his cocoon of thought, he could hear the room filling up with indestructible-minded college kids. Many, he knew, were already taking pills or smoking pot or doing heroin. Those who didn’t knew who did. What if they didn’t listen? What if he saw a smirk or heard a muted chuckle? Could he handle that? Suddenly, the presentation was called to order and his last window of escape slammed shut. Clawing back cobwebs of doubt, Scott glanced at the assembly and was astonished to see not strangers’ faces but his late son’s, broad grin, bright eyes and all. 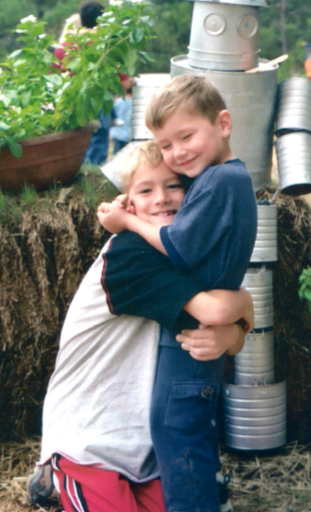 “The best way I can honor my child and his life is to help save another kid from the perils that cost Will his life,” said Scott, executive director of the William Christian Doerhoff Foundation which uses the story of its namesake’s drug indoctrination, addiction and fatal overdose at age 20 to educate other students. Despite ample evidence that narcotics have seeped into every neighborhood, society still wraps itself in comforting mental pictures of who uses and who’s beyond addiction’s reach. It’s a fantasy ripped apart by kids like Will Doerhoff, who with a loving family, top grades at a prestigious Little Rock high school and endless future opportunities, checked none of the standard “junkie” boxes. Will’s straight-laced life before drugs makes him an effective and compelling cautionary tale of the darkness that followed, a story Scott tells unflinchingly. The honor student and wide-eyed college freshman looking to fit in. The wealthy, older fraternity brother who gave him a startling crash course in drugs that went at breakneck speed from ingesting prescription pills, to crushing and snorting them, to the heroin that killed him. As powerful as all that is on its face, the moral to Scott’s talk is a layered one. Will didn’t use in a vacuum, he tells audiences, he was surrounded by peers who didn’t know or care enough to say something to intervene. With time and repetition, telling Will’s story has become less of a fresh gash and more a way to memorialize who he was at his core, warts and all. It isn’t always enough emotional salve, Scott admits, but it feels worse to not tell it at all. For more information on The William Christian Doerhoff Foundation, log on to willswork.org.